The Citroen timeline begins in 1919, when Andre Citroen decided to try and save another troubled carmaker in France. His innovations - gears with chevron-shaped teeth - eventually became the carmaker's symbol on all its models. Citroen has produced some memorable models, such as the distinctly shaped 2CV. The featured model in GT3 is the Xsara Rally Car, based upon the production Xsara also shown on this page. The Xsara T4 won the French rally cup in 1998, 1999 and 2000. - so its no wonder why its featured in GT3 as a car worth driving. The "T4" designation stands for turbo and four-wheel drive, two key ingredients for any successful rally vehicle. The latest version of the T4 Rally has a 1.998-liter engine, based upon the Xsara 1.8I 16-valve model that can crank out 300 bhp at 5,500 rpm. With this power on board, Citroen's Xsara T4 rally team seems poised to make yet another run at the 2001 rally cup championship. 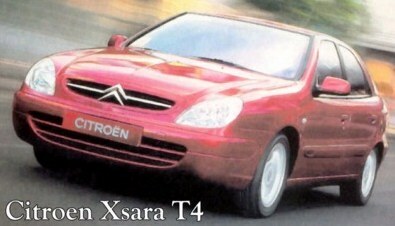 The well-designed four-wheel drive capability of the Xsara T4 makes it a very capable racer. Just ask the rally team's driver Philippe Bugalski (the other driver is Jean-Paul Chiaroni), who said that the car "has great poise and is very easy to drive. It's got great potential - something we're going to work to develop. I love the way that it's both playful and reassuring at the same time. It make you want to enjoy yourself." Citroen is a major force to be reckoned with when it comes to rally racing. In fact, the stock model Xsara Rally Car is at an already healthy 300hp without any upgrades. This leaves you plenty of room to adjust it in the tune shop.